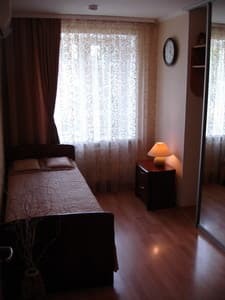 Mini-hotel Sinay' is situated in a very comfortable and quiet place, not far from the Kiev railway station.You can have a wonderful rest in the atmosphere of comfort here, You will be surrounded with attention and care of our staff. 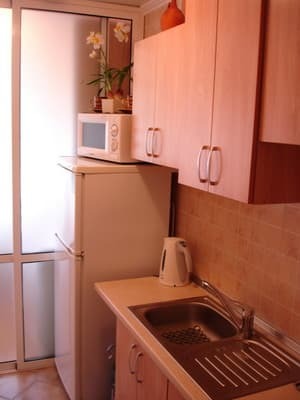 We offer at Your dispousal one- and two-room apartments, in which there are all the necessary facilities: Cable television, telephone, access to the internet. We invite You in Poltava, where you will be able to acquaint yourself with numerous unique cultural, architectural places of interest and wonderful spend your time! Poltava is pardonably viewed as the spiritual capital of Ukraine. 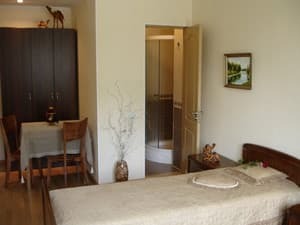 Description of the room: One-room cozy room is equipped with a single bed, a bedside table, a wardrobe. 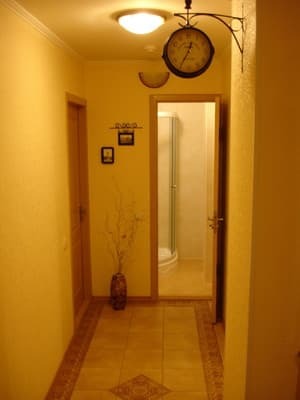 Common bathroom for 2 rooms. A hairdryer is available on request. Description of the room: Spacious one-room with twin beds. A shared bathroom for 2 rooms, a block system. A hairdryer is available on request. 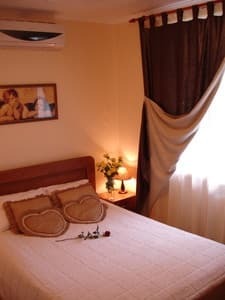 Description of the room: The cozy double room is equipped with everything necessary for a comfortable stay. A hairdryer is available on request. Description of the room: Spacious room with all amenities. A hairdryer is available on request. Children under the age of 5 are accommodated for free. Additional place costs 50 hryvnas. The hotel has a communal kitchen for cooking. Mini-hotel 'Sinsay' is situated in the area of Kiev railway station. Mini-hotel 'Sinsay' is situated in the area of Kiev railway station. You can get there by trolleybus №1 and №8, the bus stop "Kievskiy vokzal' or by a route taxi, which goes in the direction of communication specialized school, the bus-stop 'Turbomehanicheskiy zavod'.